Score a big discount for the 2019 Ostrich Festival this weekend! 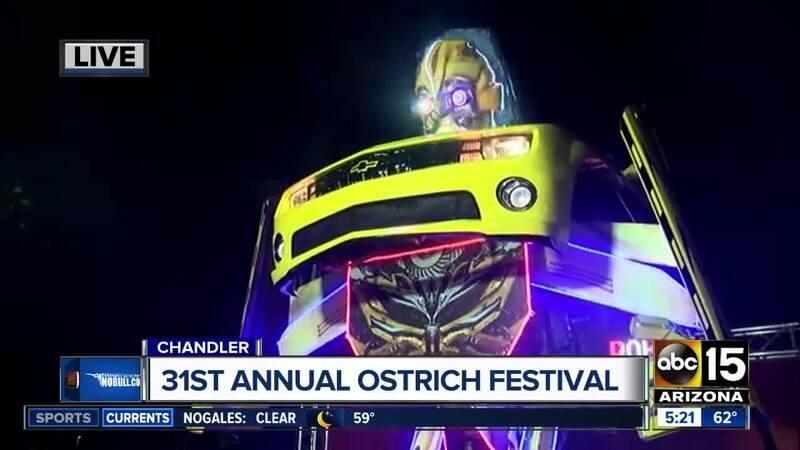 Here's what you can expect at the annual Ostrich Festival! CHANDLER, AZ — The 2019 Ostrich Festival is back this weekend, and we are making sure you don’t have to pay full price! Adult tickets are normally $15 before 2 p.m. and $20 after 2 p.m.
Smart Shoppers, use promo code “ABC15” at checkout directly through their website , and you’ll pay $10 per adult ticket! You have until 6 p.m. Saturday to score our exclusive discount.